eToro is the vision brothers Ronen and Yoni Assia had back in 2006. Originally based in Tel Aviv, it now subsides in Cyprus and has also had an office in the UK. They developed a social trading network, using a brokerage as the platform for users to access other traders. The brokerage is both registered as a Cypriot Investment Firm (CIF) in Cyprus and is regulated by the Financial Conduct Authority (FCA) in the UK. With over 5 million users in 170 different countries, they have jumped the first hurdle of social media platforms, getting users to use it. One of the attractions to eToro is that they offer a variety of markets; commodities, indices, stocks, currencies, and cryptocurrencies. Because of the United States’ ban on CFDs, eToro was locked out of America for many years. CFDs are still banned in the US (though available pretty much everywhere else), but eToro has now been licensed in the US. eToro US now brings most of its excellent features to the US market, with new services appealing especially to cryptocurrency traders and enthusiasts. New US users can start an account with just $200, a lower minimum deposit than that found with many of eToro’s competitors. eToro’s social trading platform is front and center of this introduction into the US market. Social trading features like Copy People and CopyPortfolio will allow users to invest even without prior knowledge of these complex markets. Bitcoin (BTC), Litecoin (LTC), Ethereum (ETH), TRON (TRX), NEO (NEO), DASH (DASH), Ethereum Classic (ETC), Zcash (ZEC), Ripple (XRP), IOTA (MIOTA), Bitcoin Cash (BCH), Stellar Lumens (XLM), Cardano (ADA), and EOS (EOS). eToro is one of the first brokers to offer access to cryptocurrencies as a CFD. This allowed traders and investors to gain exposure to these volatile markets without having to directly buy the cryptocurrency itself. Given the huge growth we have witnessed in 2017, it has been a great time to be involved in the crypto-world. eToro being one of the first to offer crypto CFD means that lots of investors will have made a lot of money through the trading of cryptocurrencies. Cryptocurrencies have drastically outperformed other asset classes, with growth over 5000% in some cases an eToro review shows the fact that they were on board before this growth, shows you the forward thinking of the company, not settling for just the safe assets. Due to the huge price swings, lots of crypto markets have experienced, it is unsurprising to see large spreads however with it not being a new thing, eToro is managing to tighten its spreads to offer better value for its users. Trading cryptocurrencies as CFDs mean that you do not need to buy the underlying product. It also results in you, as the investor, to reduce your risk. This is because you only need to put a fraction of the position down on the trade, as the rest will be matched by the broker dependant on their leverage levels. This frees up your funds to invest elsewhere. eToro’s biggest attraction is their social network. Trading is a difficult skill to master and often requires lots of time, money and effort to really turn a profit. eToro has identified this but by introducing a social platform, they have managed to bring trading to the masses. And to the masses in a relatively safe manner. If you are new to trading, you can copy traders who have been successful and profitable for years. You can see their track record and you can see the assets they trade. With this knowledge, you can compare traders and decide who fits your risk profile and follow them and their trades. You can then profit from the traders winning trades and make the same percentage as they do. Why would a successful trader allow you to make money from them? Despite the size of a market, the more people that are trading in your direction the better. However, the main reason professional traders put their trades up to be copied is because they get paid to. When a copy trader executes a trade based on a professional’s trade, the professional will take a commission on the fact that they took a trader, no matter on the P/L of the trade. It is a win win for both parties involved. The more copy traders a professional trader has following them the more they will take on commissions. Copy trading is becoming a larger market nowadays, with many brokers offering a similar service but eToro has the share of the market and it is difficult to take users away from something that works well for them. The main resources that eToro has follow on from their social network. The ability to copy the exact trades of others is a big feature, as well as checking the stats of that trader, including a chart of their percentage increase, and the portfolio they currently hold. Not only can you copy traders, but they have released an ‘eToro trading’ feature whereby you can invest in copy funds, which diversify your portfolio according to the fund you follow. You risk will be spread over certain assets, tools are then available to show you where the majority of your risk is, for instance, is it all in one sector or is it across a few. There is also a live newsfeed, you can follow any asset you choose and get an update on other users view of the asset. You can then create a watchlist whereby the assets you are interested in are constantly updated. The trading platform is very simple and easy to pick up. It makes the life for a beginner very easy and helps with their education and understanding. The platform consists of a menu to the right that can navigate you through the platform, offering various options. You can create a watchlist to monitor the prices of the assets you are interested in. You can create several watchlists to cater for your different investment needs. The markets you can trade are found under ‘Trade Markets’ and they include; Crypto, ETFs, Stocks, Indices, Commodities and Currencies. Crypto has its own section, showing the impact, its growth has had. ETFs are the funds that were highlighted earlier in the review. These can be filtered by sector. If you click ‘Copy People’ you can browse all the top investors, and you will see each person’s return as well as their risk rating. The risk rating gives you an idea of the tolerance they have to risk. the higher the number the more risk they are comfortable with. It is advisable to figure out where your level is and then to search for investors of a similar level. Taking a trade is simple as well, click ‘Trade’ and you will open up a ticket. This allows you to manage your risk by determining how much you intend to put on the trade and where your stop loss will go. eToro offers three platforms; the eToro Webtrader, the eToro Openbook and eToro Mobile Trading. The Openbook is almost an advanced version of the Webtrader because it shows you what traders are doing in real time. This includes taking trade and managing them. You can also speak to individuals through the chat function. You can also hide from this if you do not wish to chat with the network. The last platform is on your mobile device. This allows you to take and manage trades on the go. You also have access to your account at the touch of a button, you can withdraw and deposit when you like. You can deposit through a few different avenues, either credit/debit card, wire transfer, Paypal, Webmoney, Skrill, Netteller, Western Union and MoneyGram. As you can see, it is very easy to deposit. Before you deposit you will be required to validate your account. This involves sending pieces of information that prove your identity and proof of address. This is common across brokerages and is for security purposes. The eToro minimum deposit amount is £100. If you intend to deposit via wire transfer, the minimum is £500, however, for the other methods, it is only £200. There is a maximum deposit for some of the methods, ranging from £5,000 to unlimited. There is a minimum withdrawal amount of $20 when using eToro Paypal and Skrill. 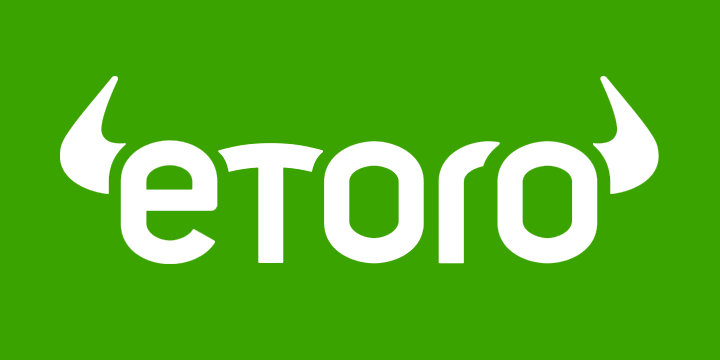 eToro fees when withdrawing include a small fee for the process, this is dependent on how much you intend to withdraw. There is also an eToro bonus scheme that changes regularly, so make sure to stay updated. All withdrawals will be sent via the method you deposited, meaning that it is very difficult for thieves to steal your money. When opening an account, the staff are very helpful and friendly. Most importantly they do not pester you until you open an account. They understand that investing your money into their account is a risk and so do not put pressure on you to do so. They offer 24-hour customer support, which is available in 8 different languages (including Chinese, Russian and Arabic). You can contact them via email, fax, and live chat. They have also established an interactive Q/A section where traders can find answers to generic questions that are frequently asked. This can be found via the eToropedia section. Due to being regulated by the FCA, eToro must adhere to their requirements. A requirement is that should eToro file for bankruptcy, then all its users are covered up to £80,000 of their account. The chances of eToro filing for bankruptcy is very slim at the moment.